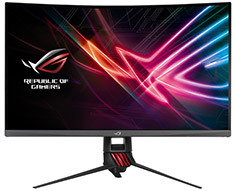 ROG Strix XG32VQR is a curved HDR gaming monitor that offers a perfect balance of smooth and immersive gameplay and highly detailed contrast. 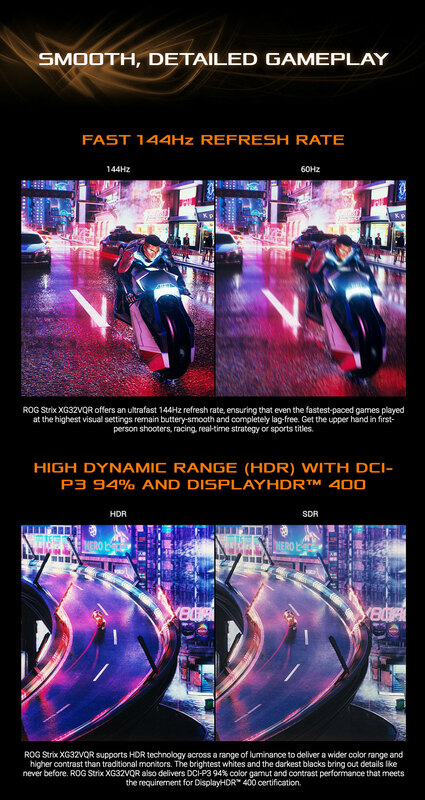 It features a 32-inch WQHD display with an astonishing 144Hz refresh rate, Radeon FreeSync 2 HDR technology, and High Dynamic Range (HDR) technology with DCI-P3 94% professional color gamut and contrast performance for DisplayHDR 400 certification. It also includes Shadow Boost technology to enhance detail in scenes with dark regions without over-exposing brighter areas — providing that extra edge needed for victory!